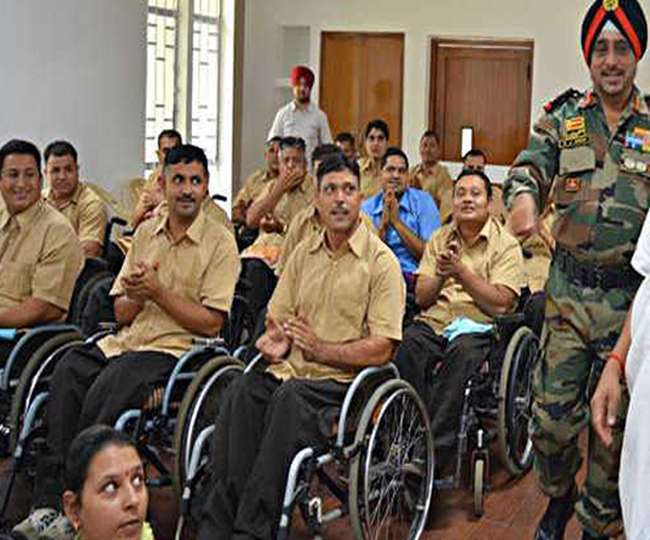 To highlight the plight of the soldier incapacitated in war and other military operations, the army chief had declared 2018 as ‘The Year of the Disabled Soldier’. The Year was marked by General Bipin Rawat frequenting major military centres to meet with groups of disabled soldiery, to buck up their spirits, hear their complaints and, in dire cases, dispense financial help to alleviate immediate distress. The sad tales particularly of injured jawans somehow surviving, not always very well, who have fallen through the cracks in the system and into unbearably hard times, and otherwise forgotten, are many. And, that’s a shame. But this is not because COASs over the years have not done their utmost to solve such problems. It is just that the formal anomalies in the system in which different benefit schemes with different classes of beneficiaries announced at different times, after different wars and contingencies, have created a confusing welter of benefits and categories of disabled. These range from jawans (from an earlier time) making do with a handshake by a commiserating chief, meagrely augmented pensions, and perhaps a prosthetic ‘Jaipur leg’ or a wheel chair (motorised, if he is lucky) to those given government jobs, granted petrol pumps by public sector oil companies, etc. and hence on easier street. In the context of the ‘One Rank, One Pension’ Movement acquiring traction because of the disparity in post-retirement benefits, it is strange that the far more telling and intolerable disparity in the treatment of soldiers crippled in war and physically incapable of carrying on with life other than in abject penury, may have occasioned sympathy but not corrective measures that are desperately and urgently needed, whatever the cost. Prime Minister Modi to his credit came through on his OROP promise. He will do immeasurable, long overdue and lasting good if he, on his own, initiated moves and to equalize the benefits for equal military disabilty. With a possibly make or break 2019 elections in the offing, the extended social tiers of beneficiaries in the country who may gain from a more equitable schemata to match benefits with military service-related disability is a voter base that’s there to capture. On the sidelines of an army seminar on mountain warfare yesterday, Gen. Rawat was discussing how, despite every effort made by army chiefs over the years to leave no disabled soldier uncovered by army/government welfare schemes, rehabilitation centres, and army medical institutions doing quality work, the older generation of disabled soldiers continue to suffer from severely truncated benefits. Time is nigh to change this inequitous regime. Getting legs blown off by mines, legs scythed at the thighs by enemy machine gun fire, termination of eyesight or hearing, or brain damage owing to flying shrapnel, loss of toes and fingers to frostbite, etc. are the routine risks run by those partaking of military hostilities, including counter insurgency, or by those patrolling and monitoring the country’s long and disputed borders in difficult terrains on two fronts in peace time. But the minimum the soldiers would expect is that, in case they get grievously hurt or die while pulling duty, they are taken care of, and their families have fair prospect. To highlight just how miserable a disabled military veteran’s life can be, Rawat brought up the instance of a stalwart of the 7 Maratha whose personal condition has been degenerating over the last 40-odd years because of a bullet lodged near his spine that was not surgically extracted because of the fear of inducing complete paralysis. The COAS met this old Maratha at a function for the disabled organised by Southern Command in Pune recently. This old man, seated next to Rawat at lunch, was being fed by his forty year old son. The son went away from the table to fetch his father something during which time the soldier tried to feed himself with a spoon. Given that his motor functions were all shot, the food dribbled down the side of his mouth and spilled down the front of perhaps his only decent set of clothes that he had worn for the event. The son returned and seeing the mess reacted in public view, to the astonishment of the COAS, by slapping his father hard across the face. When Rawat remonstrated, telling the man that his father was the army chief’s guest and his behaviour was unacceptable, the unapologetic younger man related to Rawat his family’s miserable story — a story of just how the differential in disability benefits had impacted them. It turns out the old Maratha warrior, a longtime widower, has been looked after by his son for some four decades now ever since the latter was 8 years old and who has remained unmarried, unemployed and the sole care-giver, eking out existence on his father’s small pitiable pension. The son then pointed out that the family of another MLI contemporary of his Dad’s, who was martyred in a later war, was given a petrol pump and in the years since has grown prosperous. He complained against the unfairness of this situation. Gen. Rawat asked the Command to make out a check for two lakh rupees in the soldier’s name — small recompense for the daily assaults on his dignity that he has to endure. On another similar occasion but in a northern city, the COAS was faced by an ex-jawan in a wheel chair with both his legs amputated at the knees who, referring to the bigger slate of benefits and increased pensionary payouts enjoyed by another like himself, present in that assembly, with only one of his legs shot off, remarked that “Benefits seem to be on the basis of legs lost or preserved”, implying that those who suffered no permanent physical harm benefited the most. General Rawat, like his predecessors, has struggled to get a larger budgetary allocation for spending on modernizing and sustaining existing forces while being confronted by galloping pension and payroll expenditures, which include the costs of benefits and services for the disabled. Pensions and pay and allowances constitute 56% of the 2018-2019 defence budget of Rs 2,79,305 crores, up from 44% in 2011-2012. Very soon, at current rate of increase, the pension and P&A bill will outpace the actual defence spend. Even such schemes that require contributions by the beneficiaries –the Ex-servicemen’s Contributory Health System, for example, costs the exchequer some Rs 4,000 crore/year. General Rawat is of the view that the Courts have compounded the problem. Thus, even short-service commission officers are accorded full canteen and ECHS benefits — something that is becoming unaffordable by the day. So new cutoffs are under consideration, such as benefits accruing only after a minimum 10 years service. Indeed the COAS revealed that the raft of canteen and health benefits are so attractive they are a big draw for would-be servicemen from among the white collar demographic. On a more uplifting note, Rawat indicated he had approached some corporate leaders to fund a corpus from which the COAS of the day could write checks to aggrieved disabled soldiers who, for whatever reason, failed to get benefits. An ability to write a check of rupees five lakhs for an old soldier at any time, a process freed from bureaucratic interference, he felt, would go some ways to redressing some of the ills that have crept into the system. The fact is a corporate fund for disabled soldiers that COAS can draw on will be a wonderful way of involving the wealthy sector which benefits directly from the army keeping peace and protecting the nation. Some corporate leaders have already pledged Rs 200 crores to this Fund. One can only hope that this Fund will flourish and grow, and the disabled soldiers gain every which way they can. Rawat needs to be commended for a genuinely out-of-box initiative and will be long remembered if it takes off. This entry was posted in civil-military relations, Culture, Decision-making, domestic politics, Indian Army, Indian democracy, Indian ecobomic situation, Indian Politics, Internal Security, Military/military advice, society, South Asia. Bookmark the permalink. What about those who feign ability? Good article and a good issue to bring to the fore.